I awkwardly weave through packs of elderly Vietnamese women buying chard on my way to the Plastic Club, a small art gallery and studio in Center City that boasts being the city’s first sketch club for women (est. 1897). I don’t need to walk through the market, but it is inspiring to see the sqrall of disaffected public art screaming up and down the street. Work wheat­-pasted by local art students and stickers advertising weird bands sweetly flirt with subversion. Homemade signs read, “Use other door” and “CASH ONLY.” Electric Christmas candles glow for the 35th consecutive month. 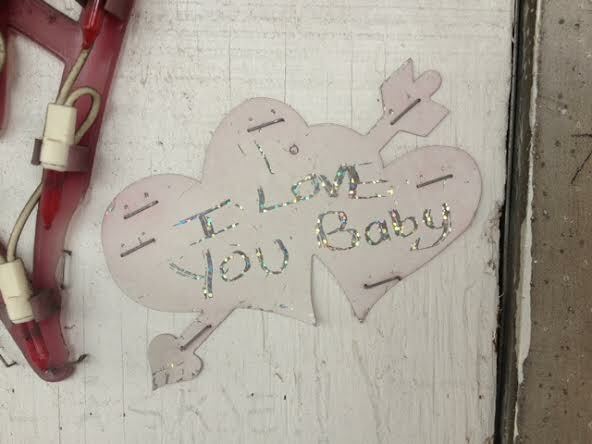 A heart reading, “I love you baby,” is stapled to a display case. For me, the Italian Market stands as a shopping district in which every visual cue is not carefully aimed at capital gain. There is art there. 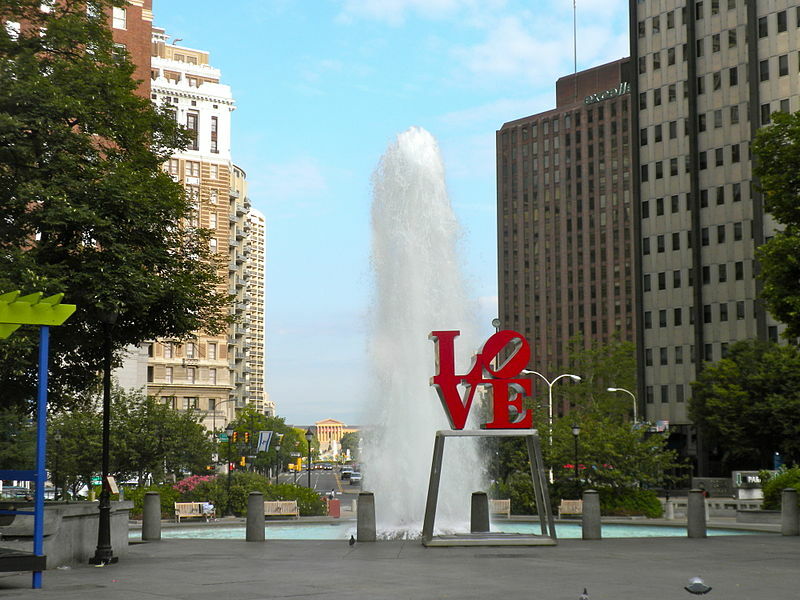 The Italian Market’s stapled heart is, for me no better or worse than Robert Indiana’s LOVE sculpture on the Parkway. They are public works in the same city that bare the exact same message. The small public art gestures of the market feel like a boy whispering to me in the back pew of a stuffy church. Indiana’s work feels like a preacher shouting at the pulpit. I like to think about the smallest moments, the little secrets I can write on index cards, cross out, tear up, and throw away. I like to feel the memory of something that happened to someone just like me. Tags: C. Eckel, Italian Market, Love Sculpture, Philadelphia. Bookmark the permalink.